The countdown will start from each one of your visitors individually. For Example, if your visitor deletes their cookies, or changes browsers, they will still see the correct deadline. User can set different style to counter timer using multiple style options and add counter timer to any page with a simple drag & drop. If you select Exact Date, exact date and time on which you want your offer to end. If you select After This Time Duration, The countdown will start from each one of your visitors individually. Option available for adding specific date and time. Choose exactly which fields of the counter you want to show and Set the exact container width of the countdown timer​​. Each element on Epic News Elements is responsive. Get Premium Countdown Timer Pro now! Subscribe plan our plugin following WordPress core standard to develop premium plugins and we are giving useful updates for our end too. 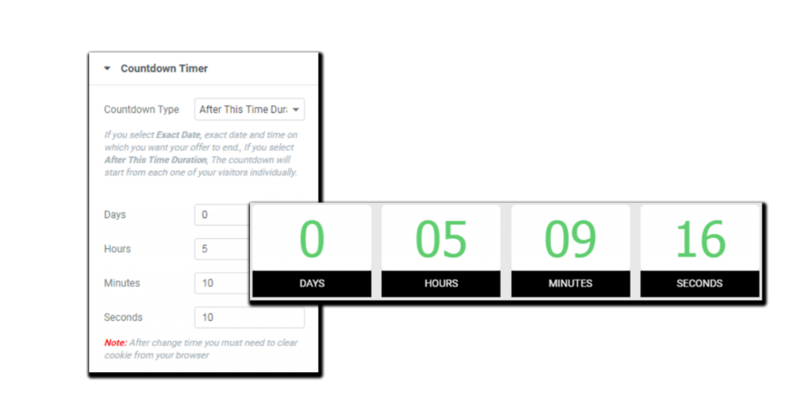 Suitable for all who want to increase their sales with this beautiful countdown timer. Where will the timer appear? It can appear in any of your posts and pages. You just need to do drag and drop countdown timer widget into your page or post. Is it possible to display multiple countdown timer with different settings and time on same page? Yes. You just need to change settings option that you want. Can i use both plugin free and pro version on same site? Yes, You can use both plugin on same site without any problem. We would like to hear all the queries and suggestions from your end. If you’re thinking to require any additional services or custom requirements with our plugin then, do not hesitate. We’re happy to listen and provide full support.